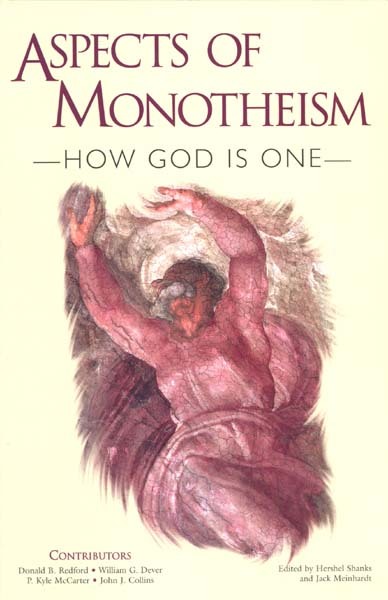 Monotheism, polytheism and henotheism are constructs of the Judeo-Christian tradition. They manifest a mindset quite different from that of ancient man. These concepts, along with such pejorative categories as heathens, pagans and idolaters, reflect a rationalization of history that seems natural to us but was not characteristic of ancient cultures. The use of such terms assumes a period of ignorance followed by a period of revelation. The revelation is always thought to have occurred in the remote past. How the Supernatural operates in the present, long after the revelation, is never really addressed. For ancient man, the situation was quite different. For him, the Supernatural never ceased to interact with the human community and the cosmos. There was no great revelation. If there was ever a break between time past and present, it was marked by creation itself: chaos before, order afterwards. It would never have occurred to an ancient Egyptian to postulate the Supernatural as a monad—a unitary, intellectually superior emanation. Much less would it have occurred to him to suppose that his eternal salvation depended on the recognition of such a monad. One man might choose to worship this god or that; another might even hold, for whatever reason, that other gods did not exist. But this was not important for an ancient Egyptian. He could not have cared less. An ancient Egyptian would have objected only when some belligerent proselytism threatened to affect the lives of the populace, perhaps by tearing down the old temples and their landed estates or by prohibiting ordinary forms of worship. But even then, his objection would have had nothing to do with how many gods were worshiped.